Whenever I see a Shelby Cobra driving on the street, I instantly assume it is a kit car...not that there is anything wrong with that, just that I'm probably dismissing the few real Cobras that might not be sitting in museums or climate controlled garages. In a similar fashion, I also smile when I see a cool hot-rodded Ford Model T, mostly oblivious to the fact that you can buy a 1927 Track-T Roadster starter kit for $3,500...and in all likelihood, most Model Ts you see are indeed kit cars. 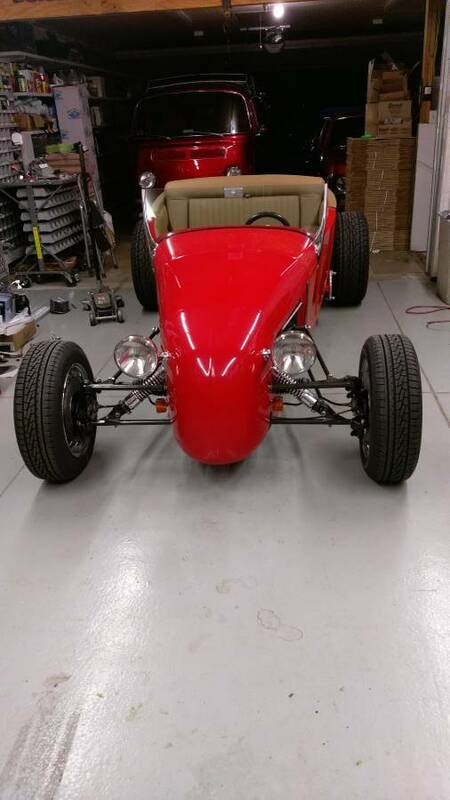 Like this 1927 Track T Roadster offered for $15,000 in Denver, CO. Tip from Rock On! 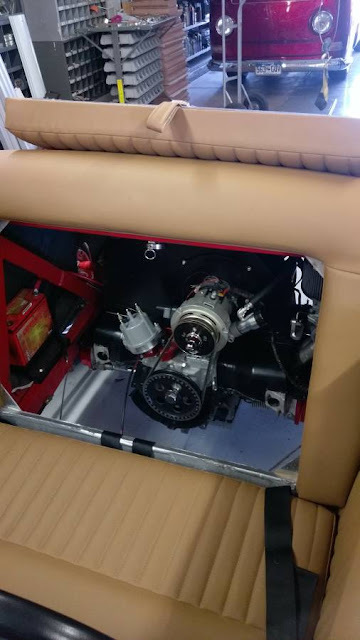 Most of the Model T style hot rods you see cruising around use a small block Chevy mounted to a TH350 transmission and a combination of Mustang II/Pinto front & rear ends, but this one looks to use mid-mounted Volkswagen engine for setup. The seller doesn't show a good rear view of the car, but it could end up being a great combination of light weight and fun handling. Think Porsche 914 with Model T style. You won't have to tell them it's a VW. All they need are ears. Some electric car manufacturers have talked about installing speakers/sound systems to "voice" their super quiet cars. Idea is to warn pedestrians that are accustomed to hearing a car approach. Why not muffle a car, make it REALLY quiet? I know, you're sucking away power. But if you have a 350 on a 1000 lb car, what's a few HP? Nothing. Then, install a sound system with speakers hidden, but projecting sound OUTSIDE the car. Tie a synthesizer to the accelerator, and you could have the engine sound of ANY CAR YOU WANTED. Think of it: A Ford that sounds like a Ferrari! Or a lambo. Or a 12 cylinder BMW. Or heck, why not a big diesel Mack truck? Just select the engine sound from a touchscreen on your dash. Or via a bluetooth app on your smartphone. Fun. Although, since it's a slushbox, all you really need is a volume knob to turn when you hit the gas. Or whenever, really, who would know. Could set it up to spew a plume of fake black smoke too. And sparks. Sparkles! Leave Skittles behind! Plus, cops would have a field day trying to find the muffler bypass when they pulled you over for being too loud. Couldn't have been me, officer. I have a really quiet car! Bach when those greeting cards with an audio recording chip were new, a friend wired one up to a car alarm speaker as his "horn". A mix of locomotive airhorn and slam on the brakes tire screeching turned out to be really effective in NYC traffic, I mean really really effective. I remember seeing something like that a number of years ago. There was a selectable list of "cars/engines" to select from. Seems that there is a missing link. Well I mean although this sort of seems like a missing link, there is no link to the item on offer regardless of it's place in the family tree of impractical car-things.